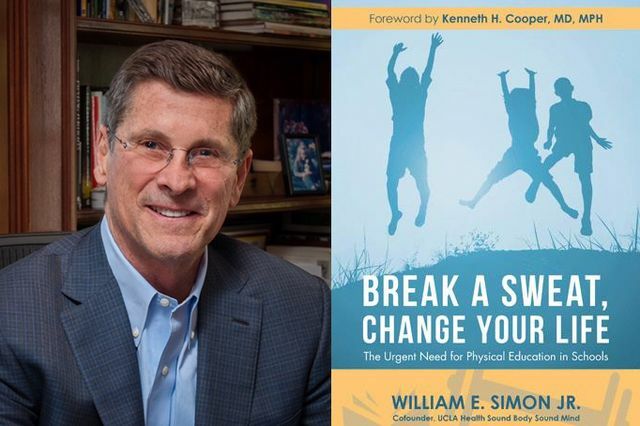 Bill Simon says that a good P.E. class motivates children who don’t consider themselves athletic. 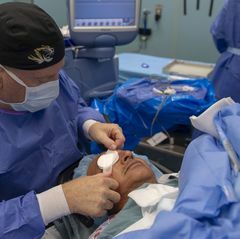 Bill Simon is the co-founder of UCLA Health Sound Body Sound Mind, an adjunct professor of economics at UCLA, recipient of the Marty Skylar My Last Lecture Award, and a former Republican nominee for California governor. 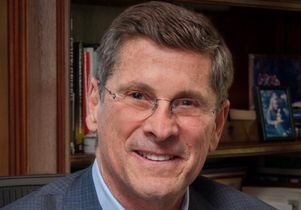 In 1998, he and his wife, Cindy, created the Sound Body Sound Mind Foundation to help schools bolster their lagging physical education programs by providing physical fitness facilities, curriculum and training — in an effort to fight childhood obesity. The organization joined forces with UCLA Health in 2015. To date, the program is in 141 schools nationally (127 in the Los Angeles area) and serves more than 170,000 students each year. 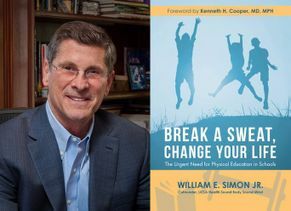 In his new book, “Break a Sweat, Change Your Life,” which was published this month by AuthorHouse, Simon argues that for the health of our nation’s youth, it’s time for schools to treat physical education as importantly we treat English, math or science. What happened to P.E. class? Unfortunately, P.E. class has slipped to the bottom of the curricular ladder in too many schools. I understand schools have many competing priorities and budgetary constraints, but it is truly shocking that the median P.E. budget in U.S. schools is $764. In a school of 500 students, that means only $1.50 per child, at a time when the per pupil total annual expenditure in many schools exceeds $12,000. Moreover, not one state follows the national recommendations for physical education at all grade levels, which is 30 minutes a day for elementary schools and 45 minutes for middle and high schools. Only six states require P.E. classes in all grades, K-12. How does a lack of physical activity affect students’ health? How can regular P.E. 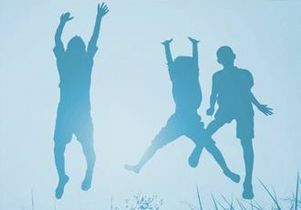 class improve kids’ health? Exercise is preventive medicine. It can help ward off diseases associated with inactivity and being overweight, but it does far more than this. Harvard neuropsychiatrist John Ratey has called exercise “Miracle-Gro for the brain,” and hundreds of studies show exercise enhances learning as well as emotional health and social development. What is the ideal P.E. program? A good P.E. class is intentionally taught to give students the knowledge and skills to achieve and maintain a healthy level of physical activity and fitness for a lifetime. You could say that it combines movement with minds. Good P.E. motivates children who don’t consider themselves athletic; it gives them the confidence and competence to improve. All children need to know the basics of fitness, and for this reason we need to move beyond sports. Sports are great, but they exclude many children because of ability or other barriers. Where does your passion for physical fitness come from? I became a real believer in the transformative power of physical fitness a long time ago. During my school years, I realized that I felt more energetic, both physically and intellectually, after an intense game of tennis or squash. Over the years as I became more involved in charitable causes, I always looked for opportunities related to fitness, health and education. 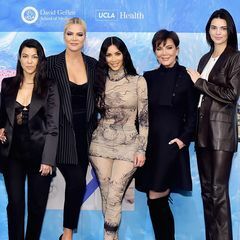 When Cindy and I started our school-based fitness program in Los Angeles, we named it Sound Body Sound Mind because we believed the synergy between the two creates a healthy, productive person. Our program gives state-of-the-art fitness equipment to middle and high schools, along with an innovative curriculum and teacher training. We focus on aerobic fitness and muscular endurance, while boosting student confidence and making participation more enjoyable. It has become a very successful example of how private initiatives can make an impact in our schools. The students tell us they like it too. We hope they fall in love with fitness. We have a program that works, and a program that changes students’ lives. We can only hope that others will join us in supporting physical education and making it a priority for our children. Bill Simon, co-founder of UCLA Sound Body Sound Mind.